The New School’s College of Performing Arts has founded a learning and creative centre together with the Philip Glass Ensemble and its long-time member, Lisa Bielawa, around the work of Philip Glass. The Philip Glass Institute will allow students, faculty, and the public to immerse themselves in his work and that of other artists in his circle. Bielawa will become the inaugural Composer-in-Residence. 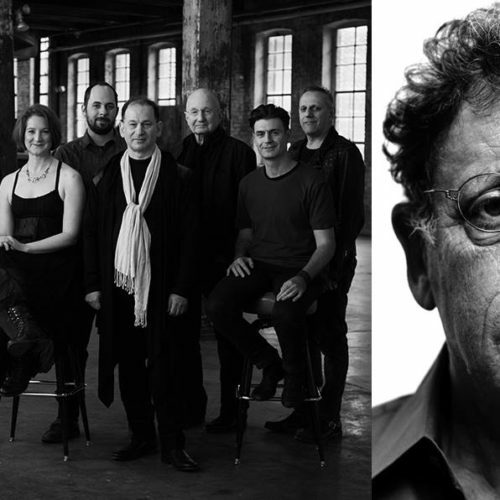 The institute will open with a concert by the Philip Glass Ensemble and a panel discussion with Glass, Bielawa, and Dean Richard Kessler on January 6, 2019 at 4:30 pm, at The New School’s Tishman Auditorium. There will also be a screening of an excerpt from Bielawa’s made-for-TV opera, Vireo, which will be workshopped for live performance at the Institute in spring 2020. As it goes… it will exist until a couple of years after his death, and then the funds/sponsors will retreat. No judgment, just reality. I’d go insane if had to go there. Who the hell would want to spend hours on end listening to Philip Glass, Phillip Glass, Philip Glass, Philip Glass, Philip Glass, Philip Glass, Philip Glass, Philip, Glass, Philip Glass? That is disgusting. Minimalism is the worst trend ever to dismantle classical music. I suspect even Glass doesn’t adhere to it anymore. It’s foundation is a misunderstanding of the use of repetition, which was actually overused already in classical-period music, but mostly by lesser, lazy composers. A composer like Dussek filled his music with variety, wit, skill, and little repetitiveness. And, Glass’s music should not go on and on through more generations. It is performer hostile, prone to causing injuries. Many of my colleagues have been injured by having to play minimalist music. These composers are criminals. Wow. This is amazing. It’s great to see a conservatory get behind such a great composer and his legendary ensemble. As expected, some of the haters on this forum don’t like Glass or Reich or Adams, or whomever that is contemporary, and guess what, they don’t have to listen to it. Good news for Mannes and The New School. I am very happy for Phillip, who is a fine composer and wonderful human being. Such accolade has to be repeated many times to have an effect. Will this mean he will abandon his Days & Nights festival in Big Sur? Sounds just like what he had hoped for on the West Coast. Hi Scott! This will only help California. All ships rise with the tide. This all in the early stages, but the Institute will focus on the the music (.edu) California will focus on Phil’s interests and idea’s (.org) – they will fit like a glove!